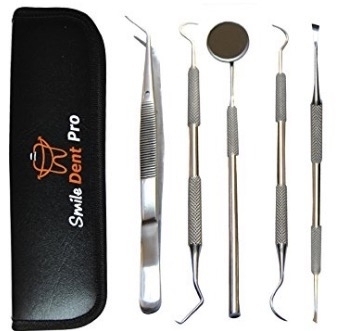 We purchased the Smile Dent Pro prepared dental tool kit. We were looking for a steel reliable dentist pick(s) to have around the home and in other places – like the car. This kit blew us away. Not only was it under $12, but included free shipping. 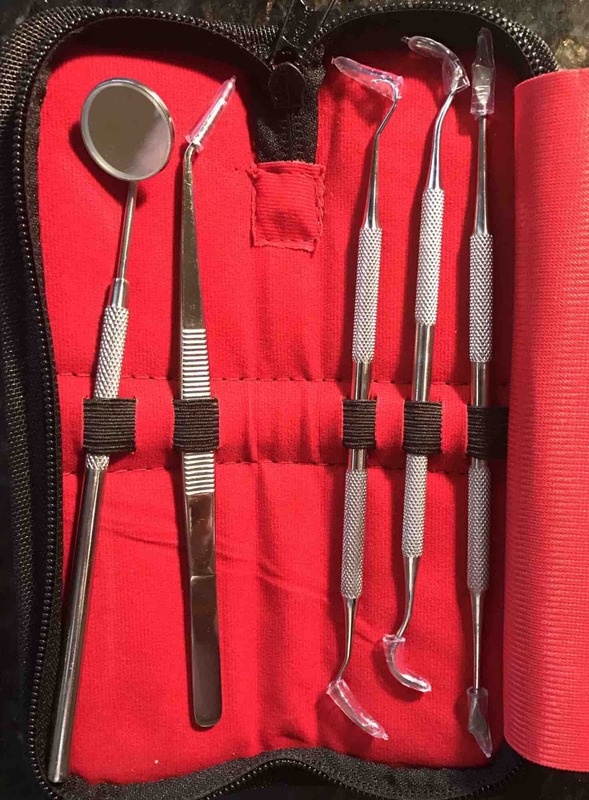 All tools are 100% stainless steel and offer exceptional grip and resiliency when using on teeth. 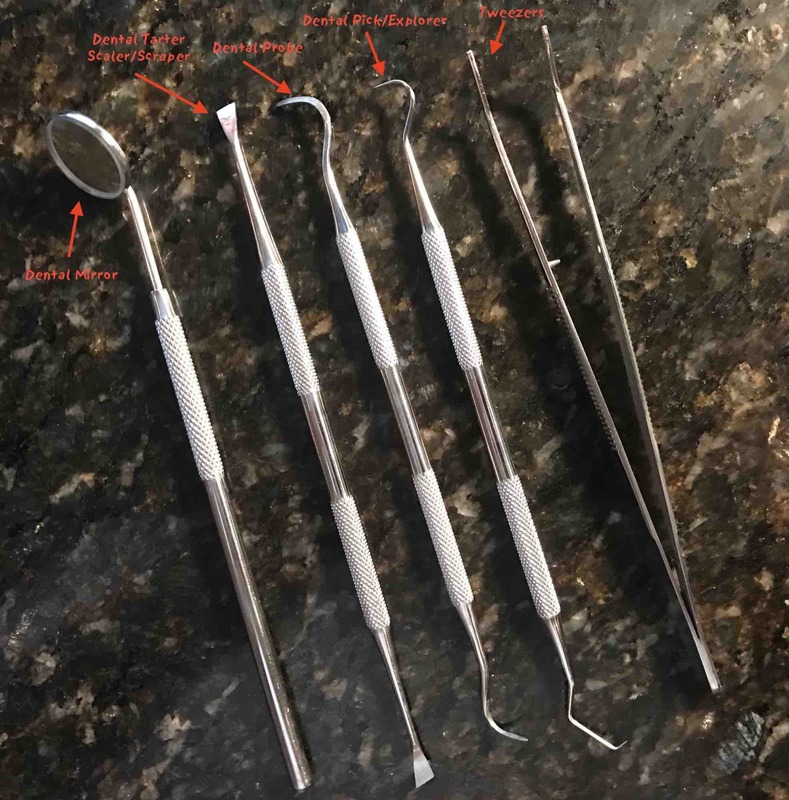 The dental pick and probe are nearly the same tool for us, so we use each for the same purpose. 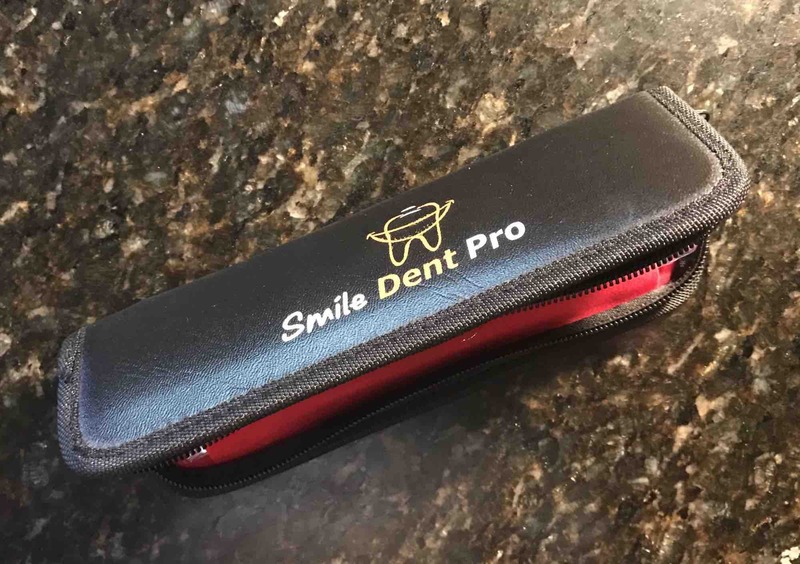 Buy the Smile Dent Pro here.